Although I’m not proud of it, I find myself feeling a bit curmudgeonly when it comes to holidays like Valentines Day. I tend to view it as simply another thing added to my never-ending to-do list. But for the sake of my kiddos, I (almost) always muster enough enthusiasm to help them celebrate. No one is going to acuse me of not being a fun mom! And in the end I (almost) always enjoy it. 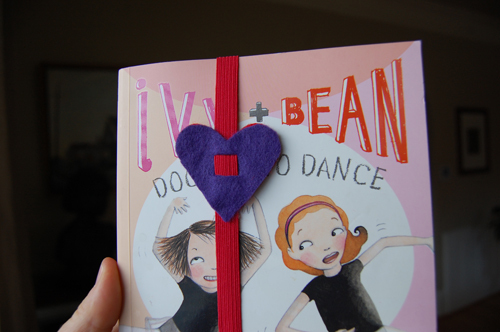 For those who find yourselves in my camp and are looking for Valetines that are quick, easy for kids to make and are useful, you will appreciate these Valetine bookmarks. 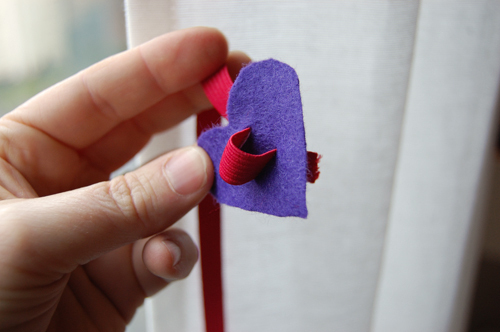 Using felt and elastic or twill tape you can whip up a classrom’s worth in about an hour. The hot-glue gun also makes this a good no-sew craft project. For the elastic version, you will need roughly 15–17 inches of elastic for each book. Just wrap a length around an average sized kids’ book, pulling snugly and then overlap an inch or so to get your length. 1. 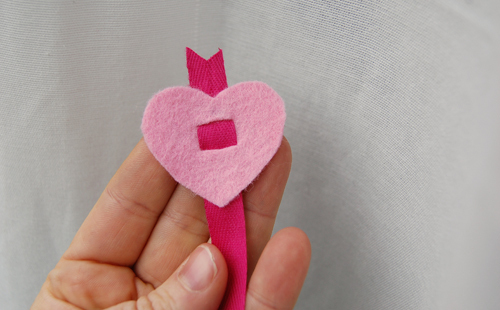 Cut a small heart shape out of felt. Just freehand this—we’re keeping things simple, remember? 2. Cut two small, parallel slits in the heart. 3. Lace one end of elastic through slits as shown above. 4. Secure elastic on back of heart with hot glue. 5. Being careful not to twist, wrap other end of elastic around and secure on back of heart with hot glue. 6. 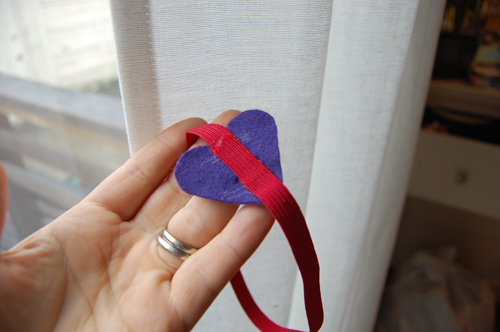 Secure another felt heart over the first one to hide the elastic ends and the hot glue mess inside. This is the back. 7. Looks like this when finished. The twill tape version is even quicker. Lace tape through slits in heart and secure on back with hot-glue. 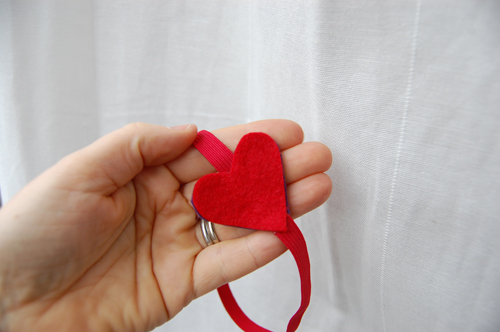 You can cover the back of the heart with another, (as in the elastic version) or you can just leave it. 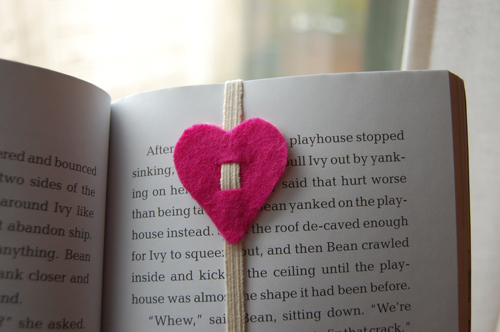 Cut long enough for the bookmark to stick out the top and bottom. And don’t forget that your Supportland points are worth double on Valentine’s Day.